Sophsterlicious • UK Blog: My, Sue Moxely, How your Make Up has improved!<. Sue Moxley is a brand I have tried a little of in the past, but I was quite disappointed with one of her Palettes that I once got as a gift, it looked beautiful and was full of bright colours that seemed pigmented, but the quality just wasn't up to the price of the palette. The eyeshadows would disappear as soon as I tried to blend them. 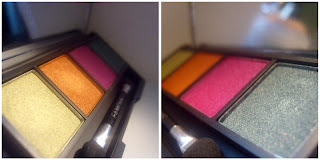 Recently I received a parcel with some products for review in, including this, the 'Festival Palette' from Sue Moxely. I opened it up and was wowed by the bright colours and the new sturdier packaging, So I quickly swatched them right away in the hope that maybe the quality of the product inside had improved, I then wiped over with a tissue to see if they were still a bit rubbish. . . . .and guess what? They have improved, majorly! 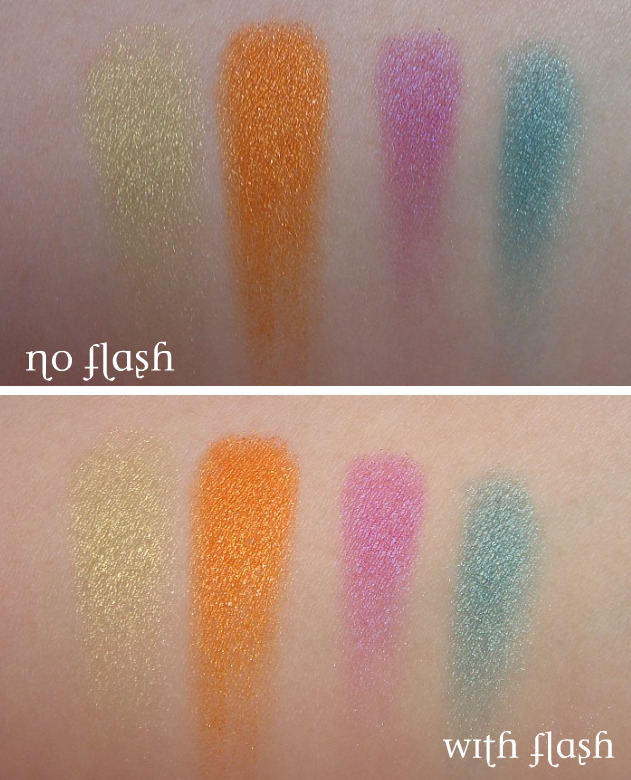 The eyeshadows are now extremely smooth and so pigmented, and they last, they don't just rub off. I am so pleased because the Sue Moxley range sells some gorgeous looking products, but I have never bought anything else from them because of the palette I had tried. 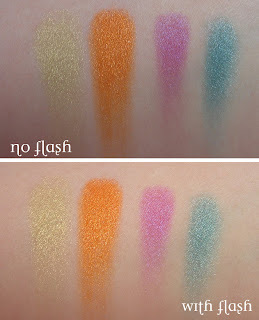 These eyeshadows remind me of Urban Decay eyeshadows, they are so blendable and smooth and bright and now long lasting. I also have a Shimmer Brick from this brand which is great and I shall be reviewing it soon! This Palette has four stunning colours, as you can see.. Isn't it pretty? I have a FOTD look coming soon with this palette, I love it! Sue Moxely is available from Superdrug stores. This product was sent to me for review consideration, all opinions are honest and mine. I always look at this brand but never ever bought, might have a little looky next time i'm in superdrug! 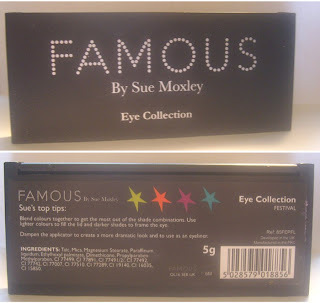 Really sorry to be a pain, but if you're in contact with Sue Moxley PR, could you please try and find out which stores it's actually available in? It used to be in a Superdrug about 40 minutes away from me but then it just disappeared about 2 years ago and I've never been able to find it ANYWHERE else! Oooh the orange one is gorgeous!